I have an issue with something going on in the lab and it could have serious consequences for my PI. Someone recommended I speak with the ombudsman for advice, but I’m worried it will get back to my PI somehow. Are ombudsmen really safe to talk to? It sounds like you are very concerned about this issue and you want to do the right thing for your PI. It is always best to try resolve problems “locally” first, by talking to your PI and anyone else who is involved. There are, of course, more touchy issues in which case your Ombudsman could serve as a great resource. The ombudsman at your university was probably trained professionally (you might want to check his/her credentials beforehand, anyway) in which case there is a code of ethics they have to stick to. The purpose of Ombudsmen is to serve as a trusted intermediary within an organization and to resolve conflicts through mediation and recommendation. In other words, your conversation with the ombudsman will be kept confidential, and will give you the opportunity to brainstorm about your options. The Ombudsman, as a designated neutral, remains unaligned and impartial. Ombudsmen do not engage in any situation which could create a conflict of interest. The Ombudsman holds all communications with those seeking assistance in strict confidence, and does not disclose confidential communications unless given permission to do so. The only exception to this privilege of confidentiality is where there appears to be imminent risk of serious harm. Ombudsmen, as an informal resource, do not participate in any formal adjudicative or administrative procedure related to concerns brought to his/her attention. If the problem needs to be resolved it will of course get back to your PI. In the event that he/she finds out who talked to the ombudsman, they will probably appreciate that the problem has been resolved and will be grateful that you showed initiative in solving this problem. Dora Farkas, Ph.D. is the author “The Smart Way to Your Ph.D.:200 Secrets from 100 Graduates,” and the founder of PhDNet, an online community for graduate students and PhDs. You will find links to her book, monthly newsletters, and discussion board on her site. Send your questions to [email protected] and keep an eye out for them in an upcoming issue! Ethical Dilemmas, Micromanagers and that Evil Email. Isn’t Reviewing Papers My Boss’ Job? Is it Career Suicide to Work for a Competitor? Is a Lab Party Too Much to Ask For?! Changing Thesis Projects: Death Sentence or New Life? 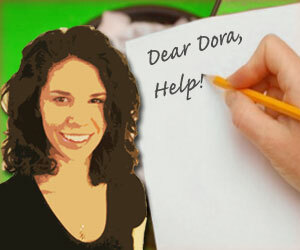 Submit your questions to Dora at [email protected], or use the comment box below! i highly recommend using the ombudsman for any issue you'd like to discuss. i talked with the university ombudsman when i was a postdoc after i started doing a side consulting job (at the firm i now work at). i wanted to know if i could get in serious trouble if my PI found out and the ombudsman gave me some great advice. and as far as I know, the meeting was kept strictly confidential. If you were working a paid gig on the side, isn't that in violation of the contract you signed as a postdoc? Wonder where ombudsmen draw the line of confidentiality – "eminent risk of serious harm" is one thing, but would contract violations or severe ethical violations qualify as "serious harm"? This is an interesting perspective regarding the limitation of confidentiality with an ombudsman. I believe that not every schools requires postdocs to sign an agreement that states that they cannot work on the side. I know graduate students and postdocs who work on the side with their PI's approvals. Having said that, if a postdoc does violate the rules of the university, the ombudsman can still give advice regarding this situation while keeping the conversation confidential. The Ombudsman is considered independent from the university, so they would not be held responsible. If your university ombuds practices to IOA standards, you can be assured of confidentiality. The ombuds can help you organize your thoughts, explain policies, refer you to appropriate resources and coach you for your direct conversation with the PI. If necessary, the ombuds can also facilitate a conversation with the PI or someone higher up the administrative ladder. There's no need to wait: use your ombuds as an office of *first* resort.